Join our Reading Club Challenge! Girls, grades 3-5, and their mothers or other significant women in their lives are welcome to share the love of reading together in this inspiring club. Discuss an assigned book and create a simple craft. The club meets the second Monday of every month at 7pm. Books are available in the Youth Services department. This month's selection is: My Life in Pink and Green by Lisa Greenwald. Calling all boys and girls, grades 3-5, with an adult friend! Come and explore books filled with humor, adventure, mystery and more. Story Explorers meet the second Wednesday of the month at 7pm. Books are available in the Youth Services Department. This month's selection is: How to Survive Middle School by Donna Gephart. Keep your skills sharp this summer and enjoy our Summer Reading Club from June 12-July 22. Join for a chance to win awesome prizes! Join the Winter Reading Challenge for a chance to win a prize or raffle and for the fun of reading a new and interesting book! 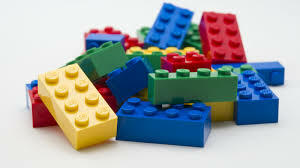 We supply the bricks, you supply the imagination. Your creations will be on display for everyone to see! For ages 5 - 12. Practice your chess or checkers skills. Come and join other kids for an hour of strategic fun! Parent and caregivers are encouraged to join in this game of logic and analysis. Chess is for ages 6 and up. Checkers is for ages 5 and up. Who doesn't like yelling BINGO when you get five in a row? Join us for an hour of fun playing everyone's favorite game! Open to all ages, children under 6 should be accompanied by an adult. Are you a techy? Or would you like to try your hand at some new gadgets? Then this is for you! Come and check out our newest gizmos! For grades 5 through 8. Are you crafty or would you like to try your hand at crafts? Come on the 3rd Tuesday of the month at 4:30pm & see what you can make! For ages 8 - 12.